Workers Compensation & Personal Injury Testimonial by Brian P.
Macon Personal Injury Lawyer Testimonial by Steven G.
Macon Car Accident Lawyer Testimonial by Harry G.
Macon Workers Compensation Trial Lawyer Testimonial by Daniel C.
Macon Workers Compensation Lawyer Testimonial by Pam N.
Mr.Powers has represented me in 2 different cases and he went above and beyond to make sure I'm taken care of and treated fair. I will always used Mr.Powers as my attorney because he got me the maximum amount from my case,treated me right, and with respect. I was stopped on Gray Highway at a traffic light, 7, 8 cars in front of me. I had no place to go. Couldn't go to the right or left, cars coming past me on both sides. A dump truck came behind me. I saw he couldn't stop. I got hurt back in December, 2014. I was having a hard time dealing with workers comp and I moved about a year and half after my injury. Once I was established in Macon, I found Powers Law Group that specializes in several areas. Workers compensation, was one of their specialties. I gave them a call and within a few days had my consultation, I was able to get more done in 6 months with them than had been done the whole time I was dealing with workers comp on my own. After a lot of doctor visits and testing I was finally able to find out what was wrong. I received my settlement check today and was happy with the out come. If you or someone you know needs a good lawyer they are who you need to see!!! I was delivering oxygen tanks to a local office here in Macon, GA and I hurt my back and had to have surgery and Powers Law Group really helped me a lot on getting me in and out of my doctor's appointments. Macon Workers Compensation Lawyer Testimonial by Darryl J. After being in a high impact car accident, I was shocked that the other driver's insurance company was asking me to settle less than 48 hours after the accident, I had broken ribs and was extremely sore and bruised all over. Mr. Powers and staff are an excellent law firm .I would strongly refer them to other people. Thank you for an awesome response to my case. Mr. Powers is excellent to work with. I would recommend him to anyone looking for an honest and knowledgeable Attorney. Mr Powers and Mr. Adams are lawyers that are genuinely concerned about their clients. They do not treat you as a case number. My experience with Powers Law Group has been exceptional! They have been a a blessing in my life. I would recommend Powers Law Group to everyone! My husband had an on- the-job injury. We thought the claim would go smoothly without hiring an attorney; however, after the surgery, the company would not correspond with my husband. Job Injury Testimonial by Shane J. 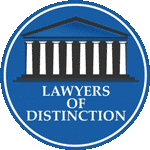 Having spent almost 50 years as an Attorney, District Attorney, and as a Superior Court Judge gives an insight to character, appearance and what constitutes outstanding legal ability. Jeff possesses the qualities that should propel him to the highest standard of success in the future. Unfortunately I was in another accident this year and the first person I thought about was Jeffery Powers. Jeffrey and Adam helped me to get a great settlement. I not only gained a lawyer but I gained friends. Personal Injury Testimonial by Lisa G.
Mr. Powers did a great job helping me to understand the procedures in getting my case handled. His staff were excellent too!! Mr.Powers took my case and handled all the problems as they came up. 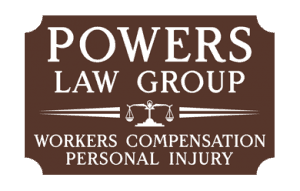 Having Jeff powers in your corner is the best way to handle workers compensation. Workers Comp Testimonial by Steven R.
Hello, I'm Gary Christian. I was recently hurt at work. I was hit on the head by a book shelf and got diagnosed with a contusion. The workers comp people sent me to their doctors and the medication and treatment they were doing didn't seem to work. I was recommended to a law firm which is Powers Group and they put me in the right direction. Workers Comp Testimonial by Gary C.
I was injured in a car wreck and I hired them after being referred to them, I am not disappointed at all. They did a very good job. Personal Injury Testimonial by Kenny R.
I was injured on the job. I was stuck on the "Worker's Comp Merry Go Round" until my husband saw Jeff's commercial and suggested I call him. It was the best thing I could have ever done. I was very happy with Powers Law Group. They were good to me and they put me first. I will recommended them to any of my friends and family that need help. He did awesome the whole way. Thank you so much. Personal Injury Testimonial by Corey L.
Tyler was injured in a car wreck while working for employer. He hurt his back and neck. He did not require surgery and was able to go back to work without restrictions, but unfortunately they fired him because he got hurt on the job. One of the best as I used once before and I knew Powers would be perfect for my daughters case. Personal Injury Testimonial by Mother of Taylor B.
I hired Powers Law firm to handle my worker's compensation case. This was a lengthy, involved situation due to my former employer's efforts to resolve my case in a most favorable outcome for themselves! Through persistence with Powers Law firm I received a good settlement and lifetime medical care for my work related injury. They took care of everything and answered every question that I had about the process. I would definitely use their services again. Mr. Powers has been our family's lawyer for many years. Whenever we need advice, we know who to call. Macon Personal Injury Lawyer Testimonial by P.H.